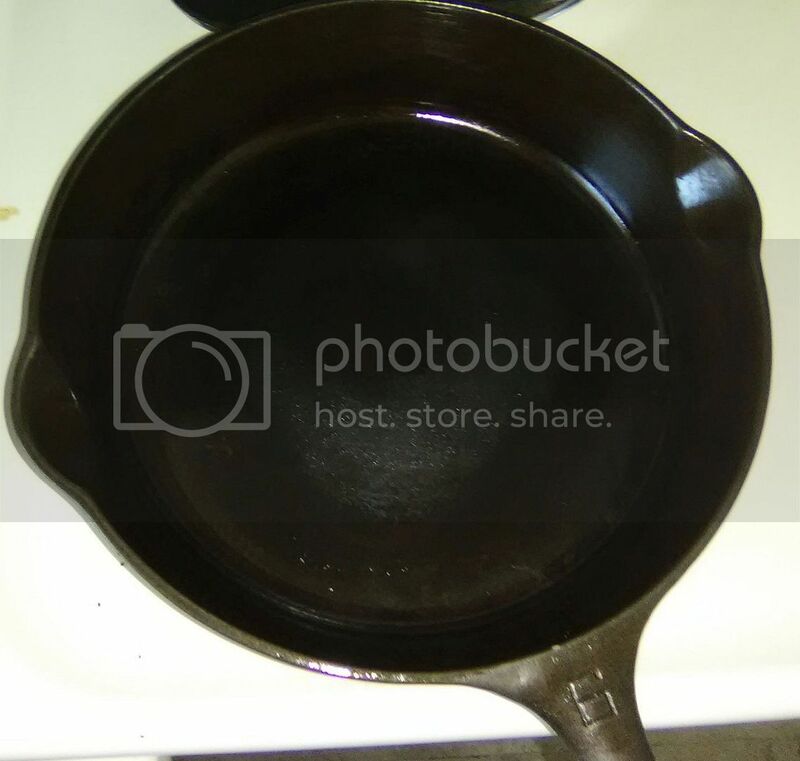 This Griswold of mine seems to be retaining rust even though I've cleaned it many times: I've stripped it several times in self-clean cycle of oven; used vinegar to remove rust; seasoned; reseasoned, etc., and it still periodically gives me trouble. Lately, after having used it, and cleaned it, and reseasoned, it is NOW not wanting to take seasoning in the center of the skillet. It gives an appearance of being wet, even though I've thoroughly dried it on stove. I'm attaching a pic, hopefully you can help me? I for one wont use the self cleaning oven method. Id use Easy Off and a garbage bag. that will strip it again for you, then season as usual.